Single Event Application Fee: Individual organizations may apply to offer CPH CE credits for a single event. There is a $50 application fee per event. Partners must provide NBPHE with a detailed description of activity for which CPH professionals will receive CPH CE credit hours. Partners must agree that CPH CE credit hours activities are related to one of the domain areas of competency as are found in CPH Content Outline. 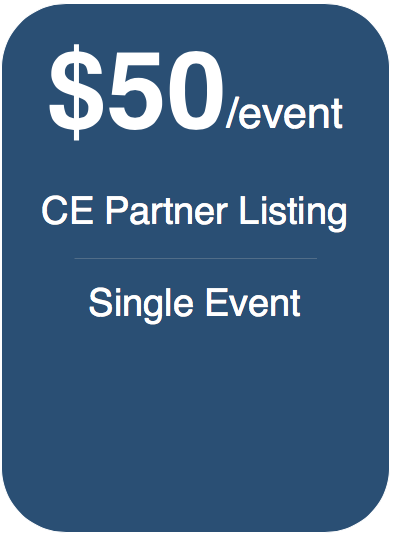 Once approved, CE Partner may post their activity on the NBPHE website and in the CPH Recertification portal, where all CPHs can search for CE Partner events. Should a CPH need documentation to show participation in your offering, please be able to produce written notice of their attendance upon request. You do not need to produce certificates of completion for each CPH. Multiple Events Application Fee: Individual organizations may apply to offer multiple CPH CE credits for a one-year period. There is a $150 application fee per calendar year. 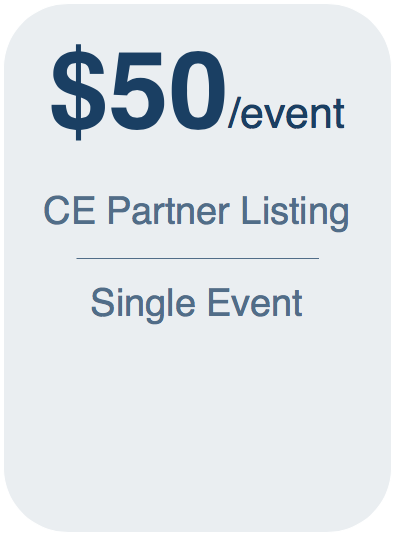 Once approved, CE Partner may post their activity on the NBPHE website and in the CPH Recertification portal, where all CPHs can search for CE Partner events. 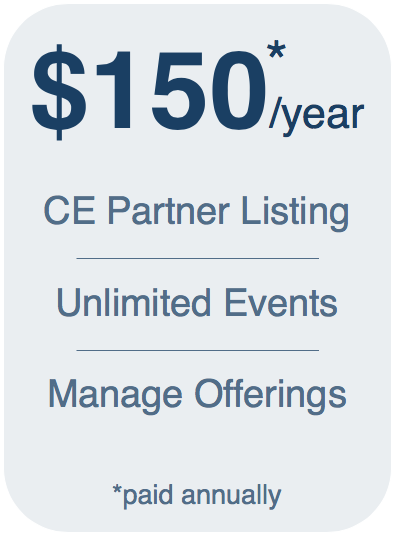 You will also be given a username and password to the CE Partner portal, where you can list and manage an unlimited amount of offerings. 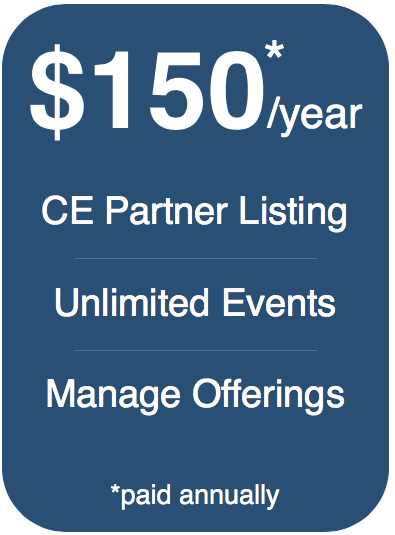 I agree to uphold the requirements of CPH CE single event providers as described above.